The month of October is famously known as Breast Cancer Awareness Month and all across the nation pink is prominently displayed to raise awareness in the fight against the disease. According to the 2013-14 version of the American Cancer Society’s Breast Cancer Facts & Figures publication an estimated 232,340 cases of invasive breast cancer were diagnosed in women in 2013 and 2,240 men were diagnosed as well. Additionally, roughly 37,000 women died from breast cancer in 2013 which made it the second deadliest cancer in women behind only lung cancer. Those figures clearly demonstrate a continuing need to keep the fight against breast cancer in humans at the forefront of our collective conscious. 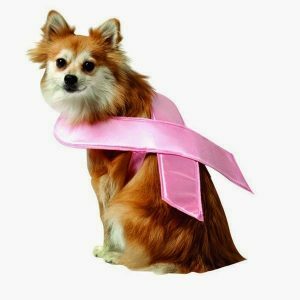 What might not be so commonly known, however, is that in the pet world mammary cancer is as big of a concern as breast cancer is in humans. Mammary gland tumors are the most common tumors in dogs and the third most common tumor type in cats. 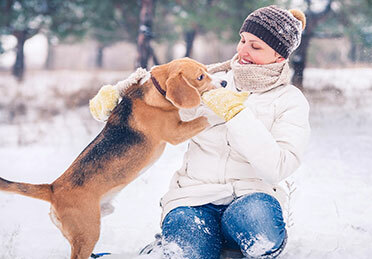 Unspayed females have the greatest risk of developing mammary cancer and this can increase with each heat cycle. Mammary gland tumors can be benign or malignant and in contrast to dogs, at least 85 percent of feline mammary tumors are malignant. Approximately 50 percent of canine mammary tumors are malignant. The principal sign is a painless lump or mass. Most masses occur in the glands closest to the groin. A mass may be large or small and can feel just like a small ‘bb’. Some masses are freely movable, while others adhere to the overlying skin or underlying muscle. Occasionally the mass ulcerates the skin and bleeds. to ask your veterinarian about your options for a referral here. Malignant tumors can spread (metastasize) to lymph nodes, lungs and other organs. Chest x-rays are recommended prior to definitive treatment to evaluate for any evidence of spread to the lungs. Abdominal ultrasound is useful in determining whether there is any lymph node or internal organ involvement. Treatment involves surgical removal of the lump with adequate margins of normal tissue. How much tissue will be removed depends on the species, size and location of the tumor. Removing a small tumor with a rim of normal tissue is called a lumpectomy. A simple mastectomy is the removal of the entire mammary gland. A complete unilateral mastectomy is the removal of all five mammary glands on one side of the body. The local lymph nodes are often included in a unilateral mastectomy. A specimen is then submitted to a pathologist for a tissue diagnosis to determine the prognosis. The prognosis for mammary cancer depends on the how aggressive the tumor is. Some patients with aggressive tumors or evidence of spread may require chemotherapy treatment after surgery and some patients are cured. 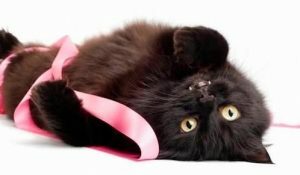 Cats tend to require a larger surgery and often need chemotherapy as well. Please remember that the only reliable way to determine if mammary cancer could be affecting your pet is through regular checkups at your family veterinarian. Additional testing and treatments can be performed here at MedVet so be sure to ask your veterinarian about your options for a referral here.